The Scientific Research Institute for Experimental Physics, where the first Soviet nuclear weapon was produced in 1949, Friday reported “an attempt at unauthorized use of the institutes’s equipment for personal needs, including so-called mining.” The press release didn’t specify when the incident happened or how many people were involved. 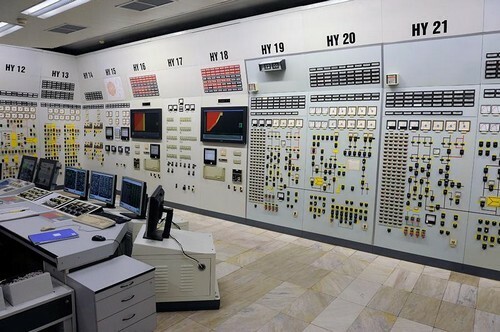 Based in Sarov, a closed city about 400 kilometers from Moscow, the institute has some of Russia’s most powerful super-computers in a special network isolated from the internet for security reasons. Investigators have opened a criminal probe into the ‘poor miners,‘ the institute said, adding that such cases are frequent now at Russian companies with high computing power. Nobody picked up the phone at the press center of the Federal Security Service, which handles such cases. The government is working on its first cryptocurrency legislation, which will introduce regulation of mining, initial coin offerings and cryptocurrency trade. The country’s vast, low-cost energy reserves make mining particularly attractive. Young Russians now prefer to give as gifts server farms rather than diamonds, Deputy Finance Minister Alexey Moiseev said earlier this year.